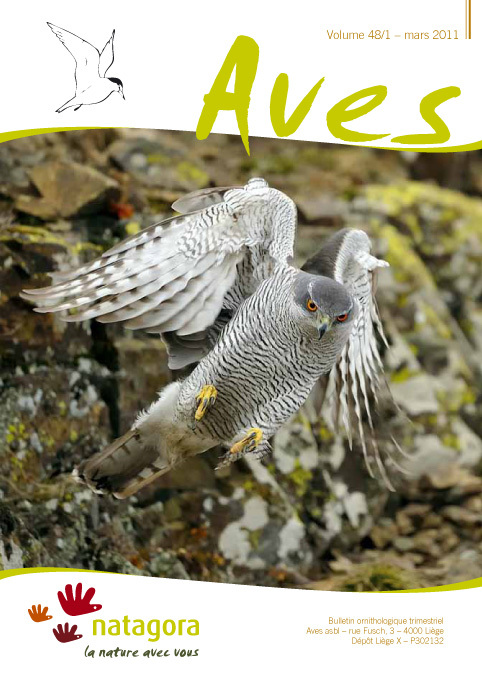 The author describes a very unusual nesting of Goshawks in Brabant wallon (Wallonia, Belgium): the nest was placed on a frail spruce tree near houses, 5 fledglings were raised, fed mainly on feral pigeons and female was an immature one. Following a review of the literature, the author considers the factors which may lead to a rapid expansion of the Goshawk from this initial presence on Brussels’ doorstep into the city itself. Relevant factors are – the Goshawk’s ecological and behavioural flexibility, the density of breeding pairs in the surrounding green zones, the almost complete absence of Goshawk persecution, and the abundance and vulnerability of medium size prey, especially in residential areas on the edge of the forest. It seems likely that Goshawks will soon colonize this new habitat as has already occurred in the Netherlands and in Germany.